The Atlanta Opera this fall has begun its first-ever young artist program. The inaugural Atlanta Opera Studio includes four singers, one stage director and one pianist who’ll make their stage debuts Oct. 2 in the annual Opera With an Edge preview concert at the Cobb Energy Performing Arts Centre. The studio program gives emerging artists performance experience working alongside opera professionals from throughout the world. The six will take part in master classes and specialized instruction that includes coaching in language, stage skills and career development. 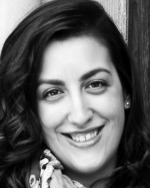 Brenna Corner, a stage director from Calgary, Alberta, Canada. 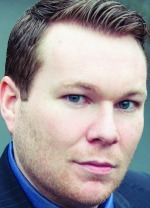 Alan Higgs, a bass-baritone from Melbourne Beach, Fla.
Bryn Holdsworth, a soprano from New York City. 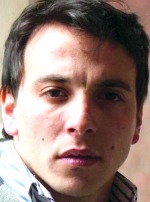 Santiago Ballerini, a tenor from Buenos Aires, Argentina. 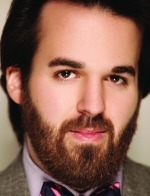 Andrew Pardini, a baritone from California. 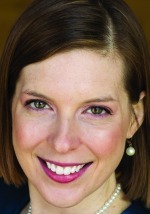 Valerie Pool, a pianist and vocal coach from Georgia. 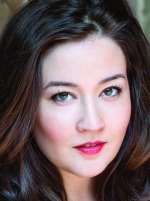 They will be introduced during the roughly 75-minute Edge concert, which gives concertgoers a sneak peek at productions in the opera’s 2016/17 season, including The Abduction From the Seraglio, Silent Night, Don Pasquale and Turandot, with guest appearances from Jay Hunter Morris and soprano Maria Valdes. All selections will be performed live on the set of The Abduction From the Seraglio, which opens the opera season Oct. 8. Edge begins at 3 p.m. It’s free for subscribers, $10 for non-subscribers (with general admission seating for all). Details, tickets HERE or at 404.881.8885. The Cobb Energy Centre is at 2800 Cobb Galleria Parkway, Atlanta, GA 30339.